Heavy carpentry floor and roof framing joints. Any and all of the joints above have been used for heavy timber floor framing. 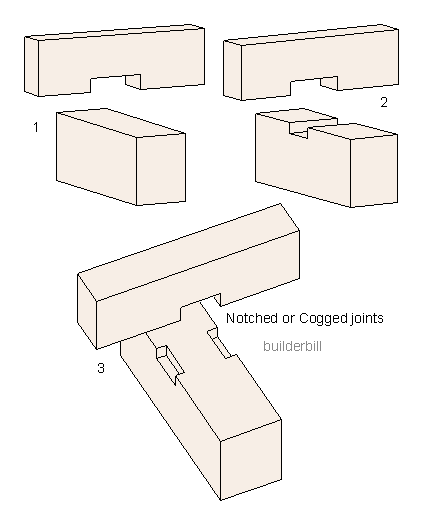 They are typical connections for floor joist or trimmers to timber beams. The cogs and the cut outs make a positive connection and reduce movement. Similarly these joints have been used in many large roofs. Typically fixing heavy purlins to principal rafters in timber truss construction. They are of course rarely seen these days as steel is used in most load bearing applications.